As a native of Northern Virginia, Jason A. Weis has here focused his practice on providing sound and balanced representation to clients navigating the difficult waters of family law including highly contested divorce litigation, custody, support and property division. Having previously operated, purchased and sold various business entities, Mr. Weis brings a broad base of commercial and real estate-related experience to the divorce arena. His persuasive style has been well received in courtrooms throughout Virginia, Maryland and the District of Columbia, sustained and continually nuanced by a body of experience sufficient to deliver sophisticated results for his clients. In 2015, through negotiation or litigation, his firm handled the equitable distribution of more than half a billion dollars in assets. Mr. Weis received his undergraduate degree from Hampden-Sydney College in Hampden Sydney, Virginia, with honors in both Philosophy and Religion. He was inducted into Pi Sigma Alpha and Theta Alpha Kappa Honor Fraternities and served as an officer of the Union Philanthropic Literary and Debate Society. Mr. Weis completed his law degree at George Mason School of Law with a focus on litigation. His professional experience includes practicing alongside the partners of several of Northern Virginia’s most prestigious boutique family law firms and serving as a clerk for the judges of the U.S. Tax Court. His legal acumen has been recognized by his inclusion in Super Lawyers, Washingtonian Magazine, Washington Business Journal, Northern Virginia Magazine, and Ten Leaders in the Law, among other publications. He received the “Preeminent” AV-rating from Martindale-Hubbell and 10.0/10.0 on Avvo.com. His practice has also enjoyed steady growth through relationships developed during his involvement with the American, Virginia, Maryland, Fairfax and Loudoun County Bar Associations, and Virginia Trial Lawyers Association. 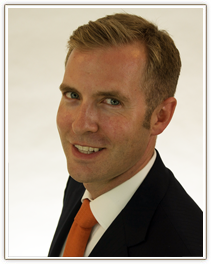 He is also the owner and author of a Virginia family law blog. Click here for additional information on Mr. Weis from TenLeaders.com.